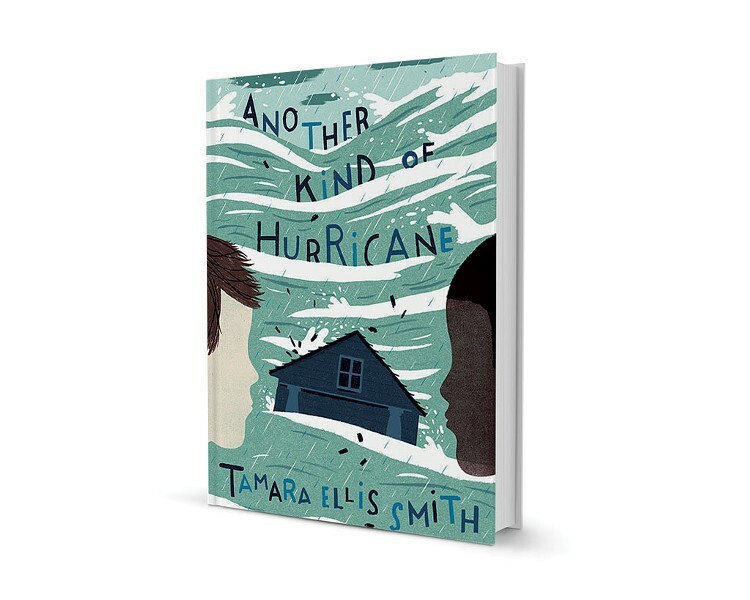 Another Kind of Hurricane by Tamara Ellis Smith, Schwartz & Wade, 336 pages. $16.99. Northern Vermont is roughly 1,600 miles from New Orleans. But after raging waters devastated that city a decade ago this Saturday, locals sprang into action. Among the many who gathered food and clothes for the Hurricane Katrina relief drive was Tamara Ellis Smith of Richmond. When her 4-year-old son asked, "Who exactly is going to get my blue jeans?" Smith got an idea — about the connections that crisis can forge between people thousands of miles apart. That idea was the seed of her novel for middle-grade readers, Another Kind of Hurricane, published last month. While Smith and others helped from afar, other Vermonters headed south into the chaos. One of them was Alice Fothergill, now an associate professor of sociology at the University of Vermont. Her trip to New Orleans would eventually result in Children of Katrina, a study coauthored with Lori Peek of Colorado State University, to be published on September 1. Like Smith's novel, Fothergill and Peek's book focuses on the youngest survivors of the storm. In their different ways, using fact and fiction, these authors demonstrate how profoundly a natural disaster can affect a child. They also trace paths toward recovery and healing — a concern especially relevant to Vermonters in the wake of Tropical Storm Irene. A specialist in disaster aftermath, Fothergill began making plans for a study of young survivors two weeks before Katrina hit New Orleans. She and Peek hadn't intended to start their research quite so soon, but the hurricane changed everything, and they arrived at ground zero a month later. "It felt like it had just happened," Fothergill recalls in a phone interview. In crowded shelters, Fothergill and Peek met children such as 11-year-old Cierra, who had waited out the hurricane in the city hospital where her mother worked. After the power failed, patients began dying around her. Another harrowing story came from 12-year-old Daniel, who had fashioned a bed sheet into a sling to help his mom carry his baby sister from the rushing waters. The two researchers followed seven children closely over the next seven years and spoke with 650 displaced kids in all. (Katrina displaced about 160,000 children.) They found patterns in the aftermath of crisis: Some children steadily declined in their level of well-being, while others fluctuated and still others found equilibrium. One common misconception about children and disasters, Fothergill says, is that kids will simply "bounce back." She and Peek are quick to note that many kids meet crises with courage and resourcefulness. But personal resilience only takes them so far. "It's about structural disadvantage," Fothergill says. "It's about the resources that you and your parents have." Not surprisingly, the researchers found that the children who achieved "equilibrium" in the years after Katrina tended to come from middle-class homes with strong support structures in place. What one child experienced as a "hurrication" — a surprise trip cross-country to visit friends — could be the end of another's world. As for children who were already living precariously pre-hurricane, their "bounce-back" capacity was limited. Daniel, for instance, was intermittently homeless before Katrina; seven years and many displacements later, he was still struggling to finish high school. For many of these kids, crisis meant growing up fast. "Lots of children told us they didn't tell their parents how upset they were," Fothergill says. "They shielded their parents." 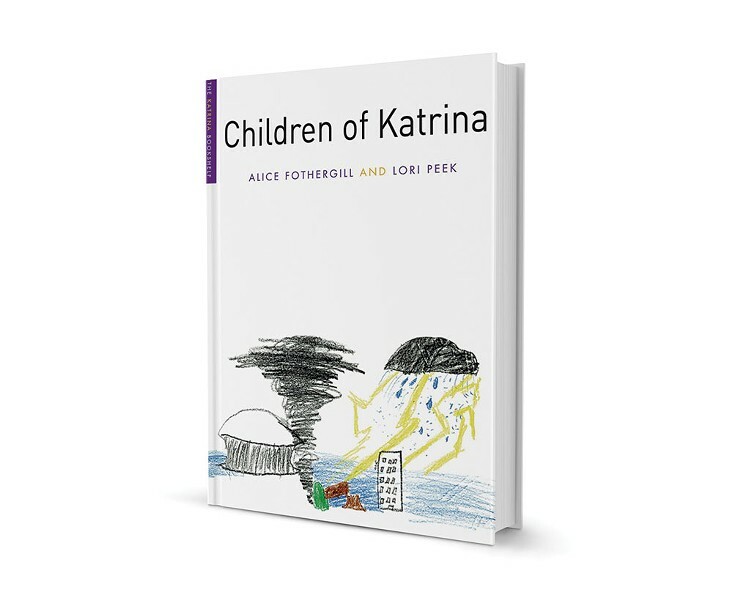 Children of Katrina (Katrina Bookshelf), by Alice Fothergill and Lori Peek, University of Texas Press, 302 pages. $24.95. Smith has created just such a child in Zavion, one of the two young protagonists of Another Kind of Hurricane. (The novelist spoke with Fothergill as part of her extensive research on Katrina.) The book opens with wind and rain battering the 10-year-old's house: "This was the end of the world." Zavion has recently lost his mother, an upheaval that left him obsessed with regulation and order. After the flood turns him and his father into refugees, the boy fixates on the few things he can control: rescuing roof slates from his destroyed home, paying for candy bars he grabbed from a deserted market. Smith uses simple, evocative words to paint the inner world of a boy who can't articulate his own turmoil. Having lost everything, she writes, "Zavion could only hold what fit in his hands now." One of the things that fits in Zavion's hands is a marble he found in a shipment of clothes from Vermont. That special marble belonged to Henry, a 10-year-old Underhill boy grieving the recent death of his best friend. Desperate to retrieve the object he sees as a lucky talisman, Henry makes his own pilgrimage to New Orleans. Smith draws a compelling parallel between Henry's grief and Zavion's, without equating their two experiences or minimizing the vast scale of Katrina. And she has reason to be especially interested in such connections. In 2011, six years after Smith started writing Hurricane, Tropical Storm Irene flooded her Richmond home. "We lost the contents of our basement, but the house still stands," she says in a phone interview. As she cleaned up heavy, stinky mud and accepted help from neighbors, she found herself having "some of those visceral connections to Katrina, which I had researched so diligently and thought I knew so well." In local journal Hunger Mountain and elsewhere, Smith has written about the empathy such experiences can foster. She's now working on a project, tied to her book, that would give schoolchildren a framework for assisting other kids in disaster-affected regions — and forming friendships and collaborations with them. Ten years later, many of today's children don't remember Katrina. But the stories remain vital, say both Smith and Fothergill, because natural disasters keep happening. Vermonters know that well. In the wake of Irene, Fothergill turned her UVM class into a service-learning course and organized recovery projects with her students — including a Halloween celebration for kids in Waterbury. "Kids want to be able to contribute," she says, recalling the children's energy. "It really helps people recover if they can help others." Smith has written movingly about the unexpected help her own family received in its time of need. Her book has moments of striking hope and beauty — as when those salvaged roof slates become the canvases for Zavion's father's art. Vermont is no Big Easy, and Irene was no Katrina. But these two books remind us that traumatic disruption can happen to children anywhere — and that it pays to form new bonds in times of trouble. "I really hope, ultimately, this is a story about the power of connection," Smith says of her book, "and of finding connection when you don't think there is any." The original print version of this article was headlined "Two Vermonters Write About the Displaced Children of Hurricane Katrina"